Alex Holland, M.Ac., L. Ac. is an acupuncturist, and teacher. He was one of the first graduates from the Northwest Institute of Acupuncture and Oriental Medicine in Seattle in 1985, and did his clinical training in Chongqing, China, in 1985, where he worked at the Chongqing Research Institute of Traditional Chinese Medicine. He returned to the Northwest Institute as Academic Dean and former Chair of the Board of Directors from 1992 to 1996. He is a co-founder and President of the Asian Institute of Medical Studies and has worked extensively on the national level with the Council of Colleges of Acupuncture and Oriental Medicine to develop and maintain quality standards of education in Oriental medicine. He has been a curriculum consultant to schools across the country and Canada. 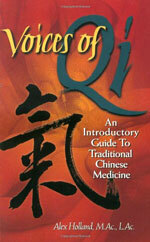 He is the author of Voices of Qi: An Introductory Guide to Traditional Chinese Medicine. 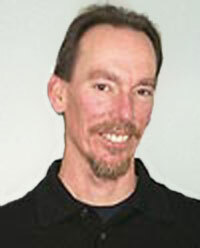 He presently (2016) is a faculty member of the Arizona Center for Integrative Medicine, University of Arizona, Tucson. Alex currently divides his time between teaching, administrative work, writing and exploring his creativity through musical composition. Health Ranger Report #81: Interview with Alex Holland, founder of Asian Institute of Medical Studies. [39 minute radio program about Chinese Medicine].